With great sorrow, we started this year with the loss of the creator of the original Sagunto Star and one of the most notable citizens of Sagunto, Bernardo G. Castillo. To his family, friends and all whose lives he touched, it would be inadequate to summarize a life well lived in just a few paragraphs. For a miniscule glimpse into the life of this complex man, in his own words, below is a letter he wrote to promote Sagunto’s first newsletter, the Sagunto Star. In this one letter one can get a sense of what was important to him, his plans, his family, his wit and his unfailing intuitiveness and perception – what he loved and what he was most passionate about. To sir Bernardo Castillo, thank you. You will be missed. “It gives us joy to know that we have someone in the states who appreciates our humble effort to be of service to our barrio. Than you for your encouragement and the money which will be of help in our putting out the third issue of our very own community paper. Here are some copies of our June-July issue. We hope to have our August-September issue on time. Materials are now collected and edited. You are all invited to send in your articles, ideas, write-ups, anything which you think should be included in our newspaper. How we wish to have a list of our Sagunto folks who are scattered in all the corners of the globe – that we may be able to reach them all with news from home through the “Sagunto Star”. We are happy to share news, information and the dramatic happenings that are always bursting everyday in our barangay – events and experiences which make living in Sagunto always fresh and exciting. Our Sagunto is a breathing, living community. Frustrating at times, impossibly naive, blustering and amusingly pretentious, it bewilders the outsider or visitor who is unlucky enough to set foot on it. Say anything you want against this bedlam of a barangay but never say it is dull. Everything and everybody is here – the good, the bad, the beautiful, the ugly, the sinner, the saint, the wise, the foolish, the humble the proud, the educated, the moron, the know-it-all and the know-nothing. Name it and Sagunto has it. Our Sagunto is the most exciting, the most impossible place to live in. It is this bittersweet taste of life in our thrilling barrio that we hope to portray, to capture and explore and delineate in the pages of the “Star”. We want our barrio folks to feel proud and loyal to our community, and the outsider friends to know that Sagunto is, for us her sons and daughters, the one and only of its kinds, worthy of nothing less than our love and lasting affection. Hello, Manang, are you still there? Pardon if I sounded like an old-fashioned patriot in the previous lines. You know how it is sometimes with us budding journalists. Now, on the personal side, yes manang, I am already married. Namee of the lucky girl who married me (ehem!) – Esther Gallao from San Emilio, Ilocos Sure, a fellow high school teacher. Our 3 children – Edil Bliss (6 years), Bernard (4), & Bernadette (2). My 8th year of teaching, her 10th. This may be our last year of teaching at the Tirad View Academy in Quirino, Ilocos Sur. I plan to take off one week each month from my teaching job to attend to the publication of our Sagunto Star. Auntie Dora is getting more cranky as she gets older, Uncle Ireneo gets more reasonable and understanding everyday. You may not believe this but Uncle Ireneo is my favorite uncle while Auntie Dora is not my favorite aunt. Of course, I like both of them. How I love the glow in the face of Auntie Dora the Sunday morning I delivered a sermon in church. I could feel her pride as she looked around the congregation for all the members to see that I am her very own nephew, and that I was standing there acting the pastor for the day. Nothing gives a person more joy than the knowledge that his relatives are rooting for him, giving him support and encouragement in a mission he believes in. We end the letter here. No more space, besides you’re raring to read issue No. 2. Give my regards to your hubby and to our Sagunto folks over there. 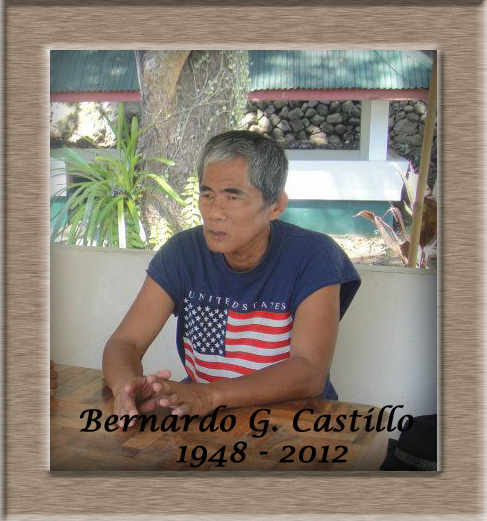 This entry was posted in Featured, Obituaries and tagged Bernardo Castillo, Sagunto Star on January 15, 2012 by Jeanette. 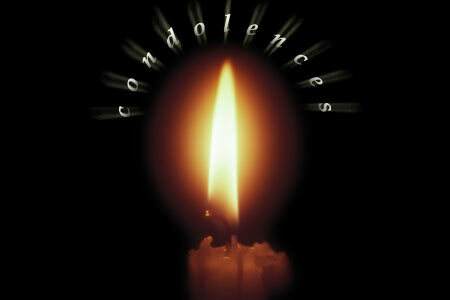 Condolence to the Huliana and Pis-o families. 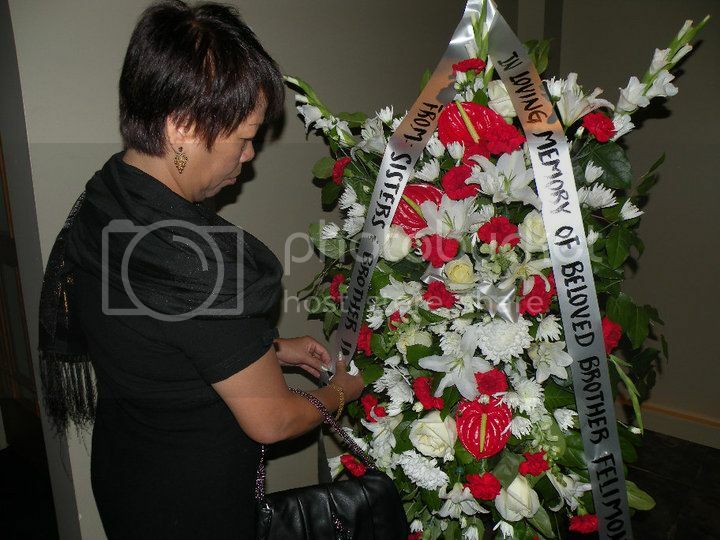 This entry was posted in Obituaries and tagged Condolence, Elmer Biteng, YouTube on February 16, 2011 by Jeanette. When I was five years old, I was introduced to one of my two uncles named “Felimon”. 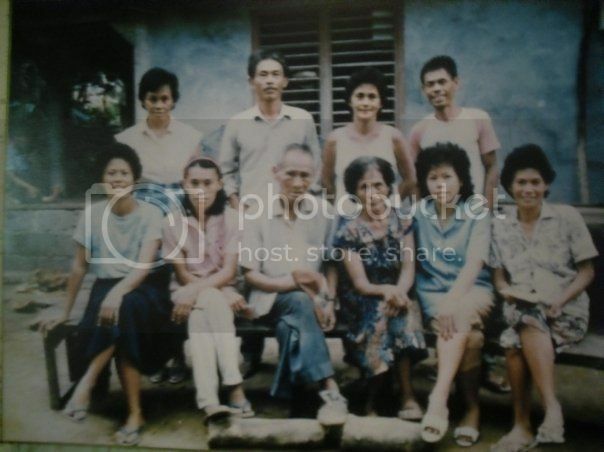 I could not easily memorize the names of my three aunts who came to visit us occasionally in Makati, but the uncle my Nanay presented to me had a greater impact on my young mind for I could easily compare his character to the ones I often saw on black and white TV. Oh yes, he looked like Sampaguita’s Eddie Gutierrez or Eddie Mesa, no kidding! Uncle Felimon’s image was an epitome of a young man in those times, what with his well sculptured hair shimmering with sweet scented pomade and his matching pointed shoes that seemed to have gotten a million times of brushing. They were like little mirrors. Why, I could even see my big teeth’s reflection on the shiny tip of his shoes. And as he told us stories while sitting in his favorite “de quatro” position, he would speak with eagerness and punctuate his every sentence with a giggle. His vibrant personality would mean he was the happiest 25-year-old bachelor among my relatives. This entry was posted in Guest Writer, Obituaries and tagged Felimon Castillo, Tribute on August 27, 2010 by Jeanette. We would like to extend our deepest sympathy and condolence to the Castillo family who mourn the passing of a beloved husband, father, brother and friend. Mr. Felimon La Madrid Castillo died of lung cancer on August 13, 2010 in Vancouver, Canada. He leaves behind his wife, Theresita (Tessie) Castillo and five children: Hector, Maybell, Camilo(deceased), Arlene, Gilbert, and Gijet. Grandchildren are Angelica Mae, Hubert Castillo, Jethro and Jan Edward Flores. His two sons are still in the Philippines awaiting visas to be able to attend their father’s funeral service. His sister, Tessie Alboukharey from London England, has already joined the family in Vancouver. Mr. Felimon La Madrid Castillo was preceded in death by his parents, Mr. Ricardo and Feliza Castillo, and siblings Luz and Wilma. 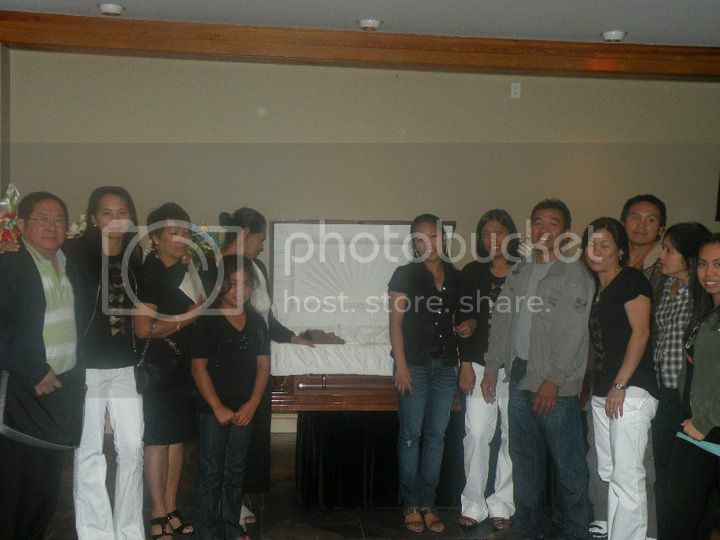 Surviving siblings in the Philippines: Pacita, Harry, Flora, Arsenia, Tessie, and a host of relatives and friends collectively mourn the passing of their brother, uncle and friend. Viewing and visitation is scheduled this evening, August 26th from 5-9 p.m. at the Hamilton Funeral Home, Vancouver, BC. Funeral service will be on Friday, August 27th at 2 p.m. at the Forest Lawn Cemetery (Burnaby, BC) and a memorial service will be held on Saturday, August 28th at 2 p.m. at the Trinity Baptist Church, Vancouver, British Columbia, Canada. This entry was posted in Obituaries and tagged Castillo on August 26, 2010 by Jeanette. Two more Sagunto elders left us this week and we would like to express our heartfelt sympathy and prayers to both the Busacay and Baiguen families. 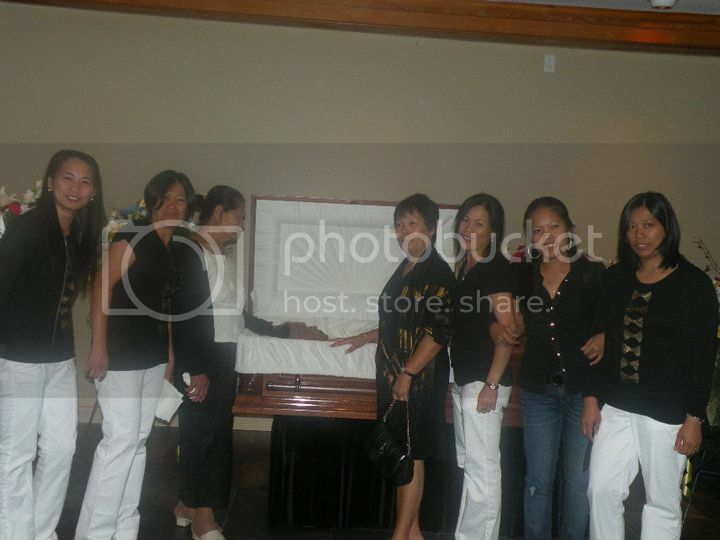 Rest in peace Mrs. Constancia Busacay and Mrs. Elpidia Baiguen. Note: We will add more to this as we get additional details. This entry was posted in Obituaries and tagged Baiguen, Busacay on July 28, 2010 by Jeanette.